Bloomington, Minn., May 17, 2018. Today, it was announced that TEA Headsets, makers of quality radio ancillaries, and GN Group, global leader in intelligent audio solutions within medical grade hearing aids and professional headsets, have joined forces to launch a state-of-the-art communications and hearing protection system. The new system – FalCom – addresses the challenges that defense and security forces have when needing to communicate in extreme and noisy environments. TEA and GN will showcase FalCom during the upcoming 2018 SOFIC conference and exhibition. FalCom is a revolutionary intelligent communication solution with unparalleled noise management for defense and security forces. The pioneering and patented hearing protection solution – leveraging GN’s unique leading competencies within intelligent audio solutions from its headset and hearing aid R&D laboratories – offers the user a communication headset which is comfortable, highly durable and protects the user against high volume noise while allowing the user to clearly identify important sound in 360 degrees. The TEA-GN partnership derives the strong synergies by combining TEA’s long history of providing advanced tactical headsets and communication products to specialized teams within law enforcement and the military with the GN Group’s significant R&D and innovation power within intelligent audio solutions – medical hearing aids and professional and consumer headsets – stemming from almost 150 years of industry experience. “Our mission at TEA is to provide customers with the best communication ancillaries available anywhere in the market today and provide them with the necessary information to make an informed buying decision. Partnering with the GN Group and leveraging their vast capabilities and experience within intelligent audio and hearing solutions provides military personnel with the protection they need without hindering their ability to communicate,” says Jeffrey L. Norment, President of TEA. Anders Hedegaard, CEO of GN Hearing, adds: “The GN Group encompasses consumer, professional and medical grade hearing technology under the same roof. This unique platform makes it possible for us to develop and offer innovative technology solutions that can make a significant positive difference to help protect personnel in combat. Entering into this partnership with TEA is testimony of our full commitment to play a significant role in this space,”. Under the ReSound, Beltone and Interton brands, GN’s history of producing industry-first sound solutions and pioneering advancements in technology include 5th generation 2.4 GHz technology in hearing aids for direct connectivity and 3rd generation Binaural Directionality for leading natural sound. Under the Jabra and BlueParrott brands, GN is a leader in professional headset solutions, having created the world’s leading headset solution for office businesses, the world’s first active-noise-cancelling microphone, the world’s first Bluetooth headset to name a few. Visit TEA and GN to experience the new FalCom system at the 2018 SOFIC conference and exhibition in Tampa, FL, on May 21 – 24 (TEA Headset booth 1602). 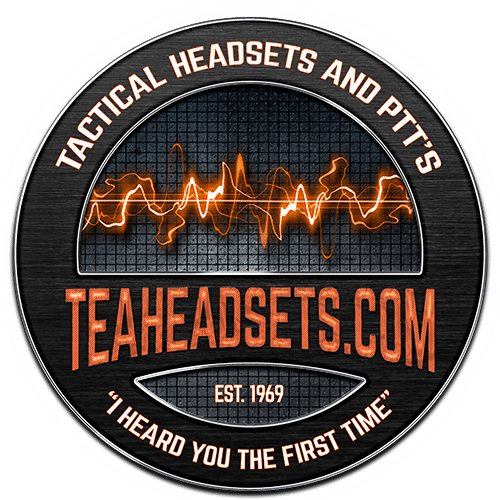 Founded by Bill Pegler in 1969, TEA has a long history of providing advanced tactical headsets and communication products to specialized teams within law enforcement and the military. In the early 1980’s, TEA designed and developed the first tactical throat mic system (LASH®) for use with military and public safety portable radios. 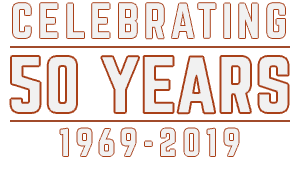 To this day TEA continues to develop and provide comprehensive communication products and solutions for military special operations forces, law enforcement, public safety and industrial applications. With our motto being “I HEARD YOU THE FIRST TIME” we make sure you can effectively communicate wherever your operations take you!